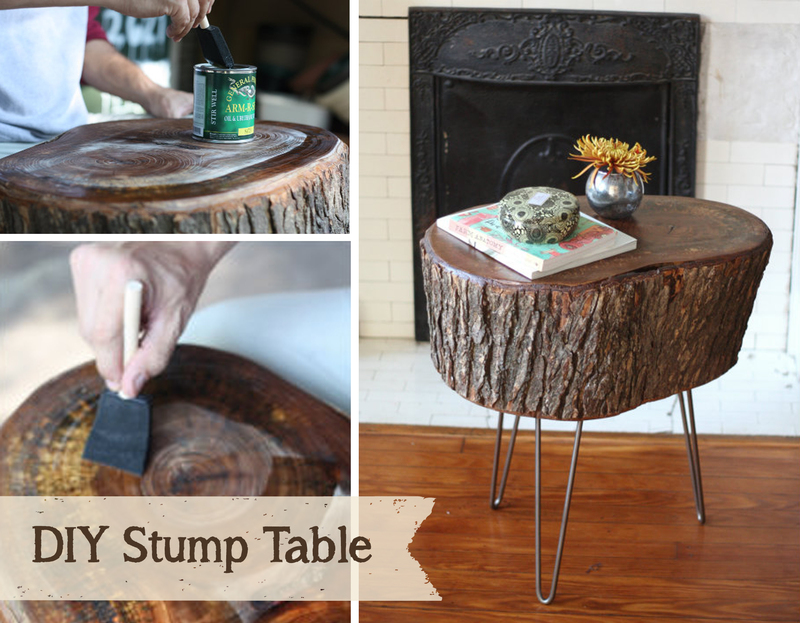 What a gorgeously rustic DIY side table by Tim and Mary at 17 Apart! After a lot of hard work and elbow grease, Tim and Mary used wood stabilizer with Arm-R-Seal Topcoat to seal and showcase the natural beauty of the wood! Get the how-to here: http://bit.ly/1cCSnab Tim shares, "As for the topcoat, we again went with what the expert from the Woodcraft store recommended — this Arm-R-Seal Oil & Urethane Topcoat. We applied a very thin and even layer of the topcoat along the grain of the wood using a foam craft brush (recommended for consistency) and watched as the top of the wood began to really shine through and come to life... We're also really happy with how the satin finish topcoat created a bit of a sheen on the top of the table without being glossy or high shine — it really allowed the natural intricacies of the wood to take center stage."